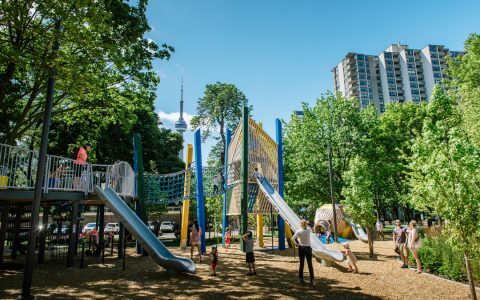 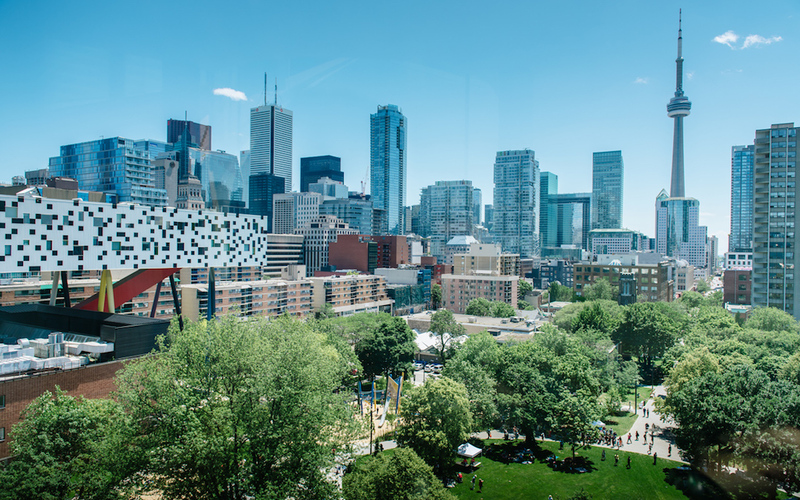 Nestled behind the Art Gallery of Ontario (AGO) and adjacent to OCAD University, Grange Park is a treasured urban green space that offers respite among the built spaces of Toronto’s downtown. 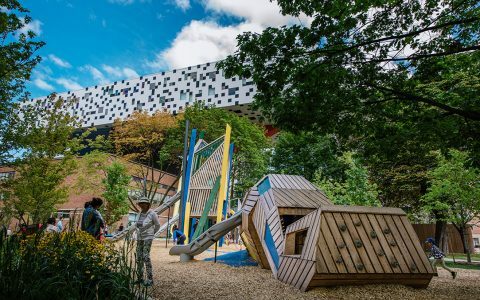 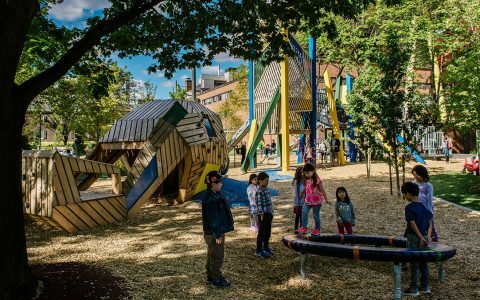 Surrounded by inspiring art institutions, it is home to one of Canada’s most distinctive playgrounds. 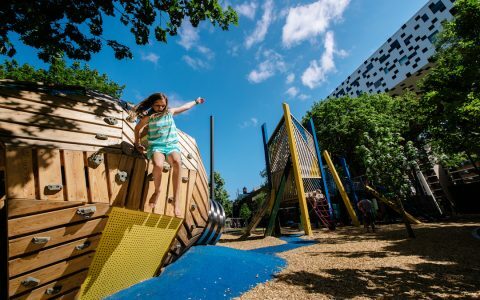 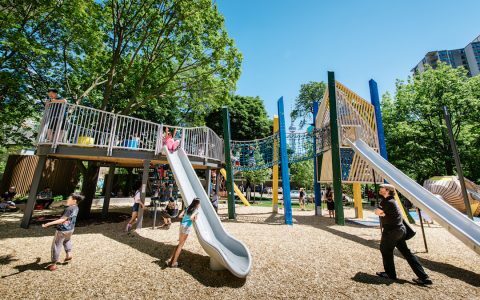 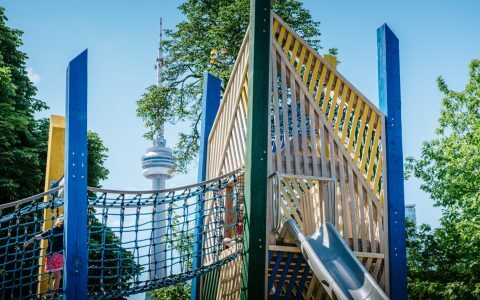 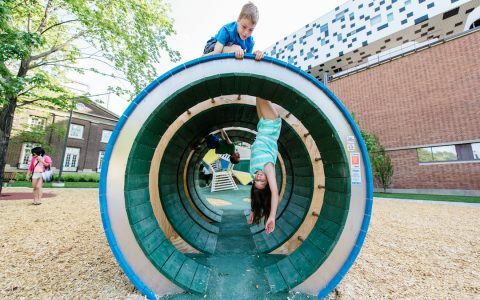 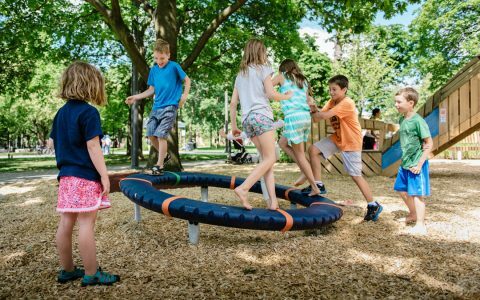 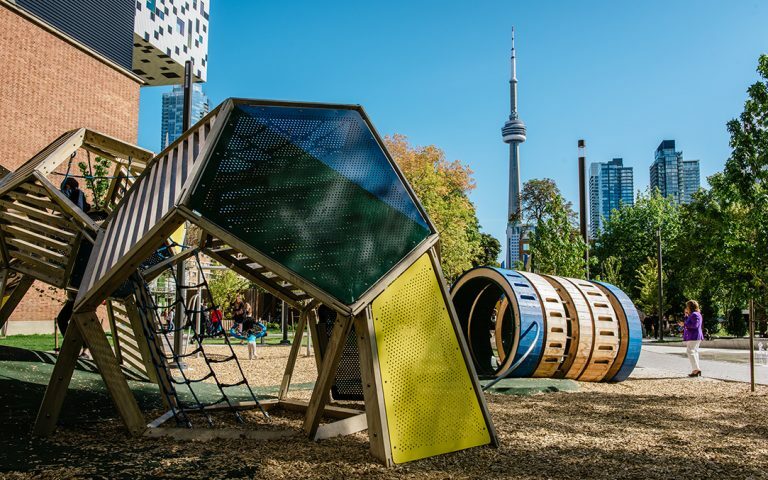 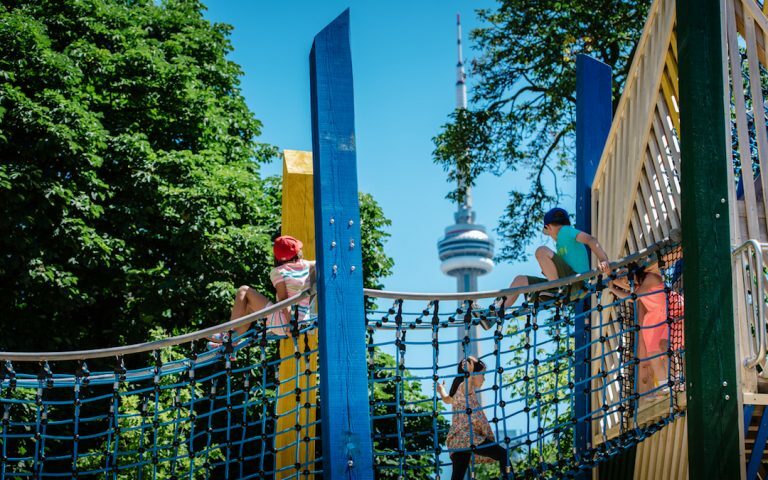 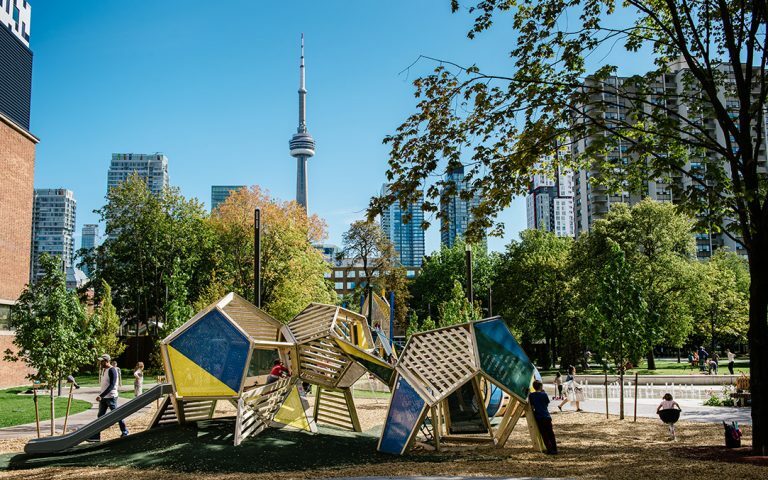 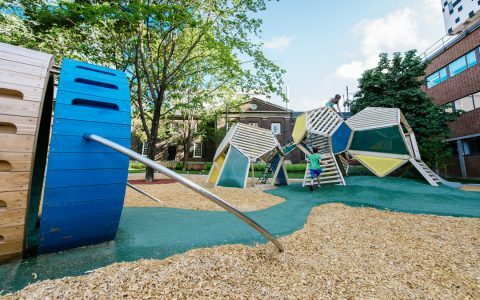 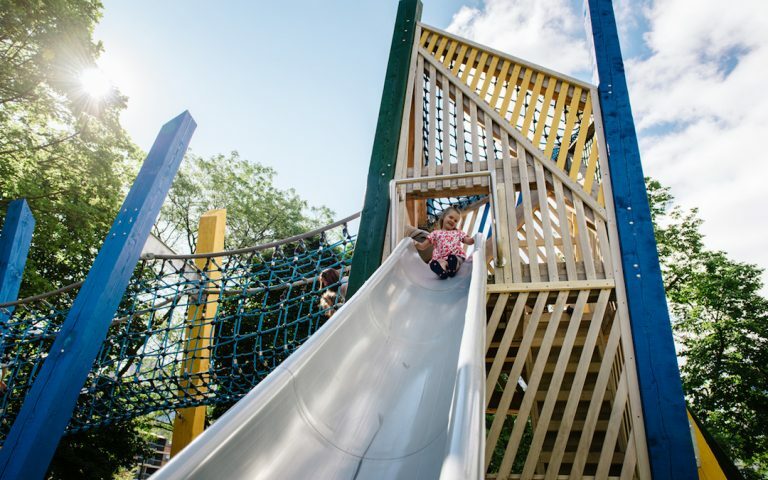 With funding from the AGO, the City of Toronto and private donors, the playground opened to celebrate Canada’s 150th birthday. 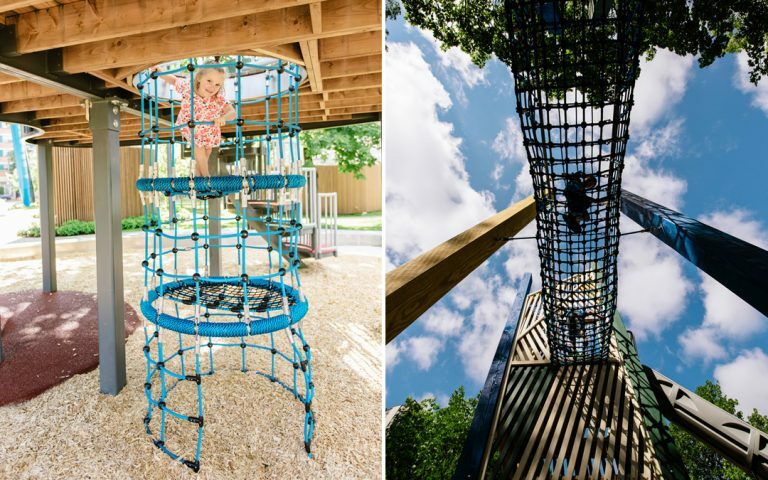 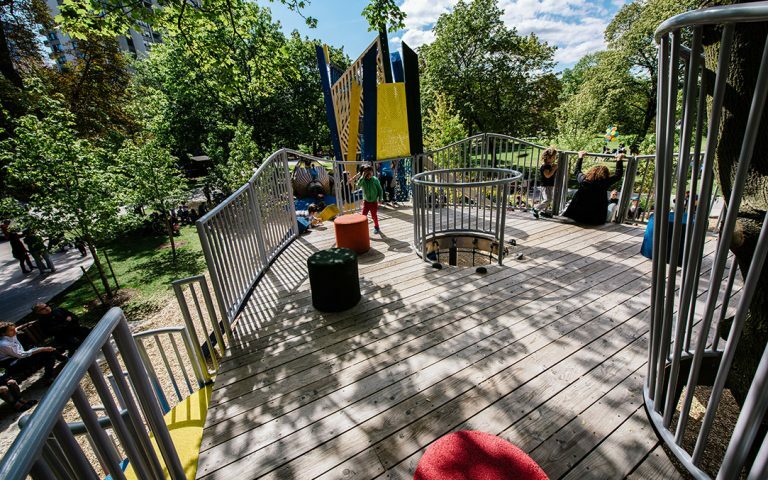 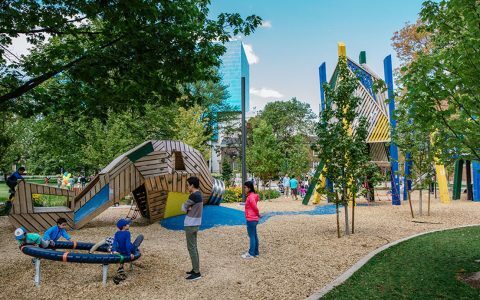 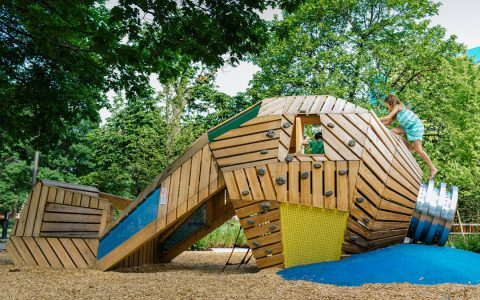 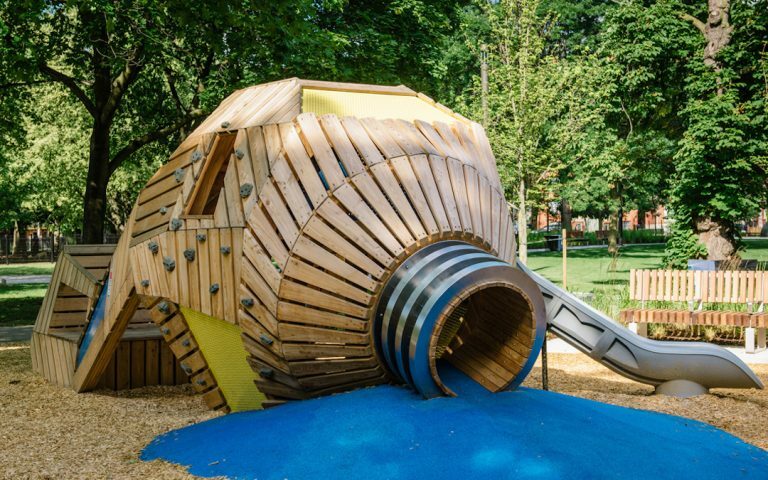 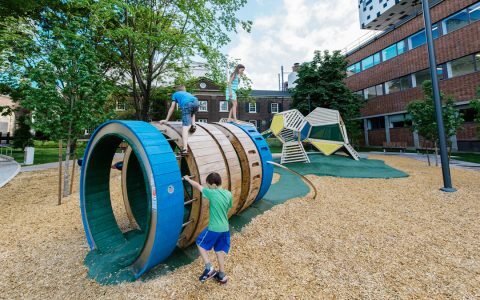 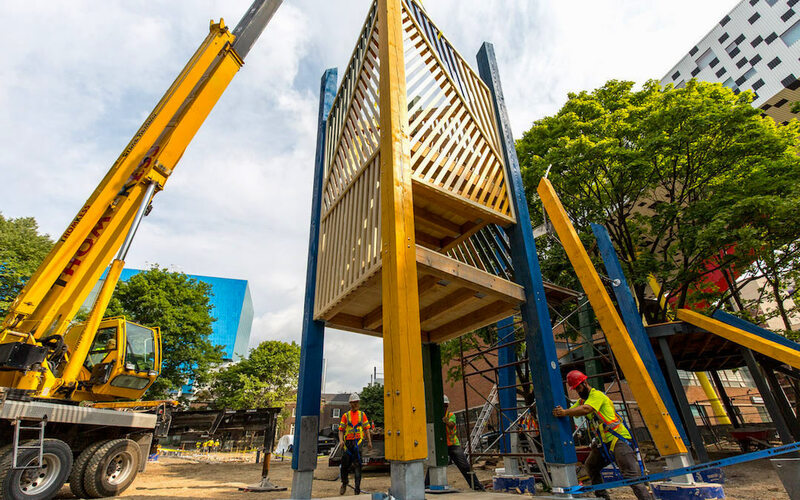 The Prime Consultant and Lead Designer (park and playground) PFS Studio, worked with local Landscape Architects at thinc design alongside the Art Gallery of Ontario, and Earthscape (playground structures design-build). In homage to the neighbouring AGO, the playground represents multiple elements of an artist’s studio. 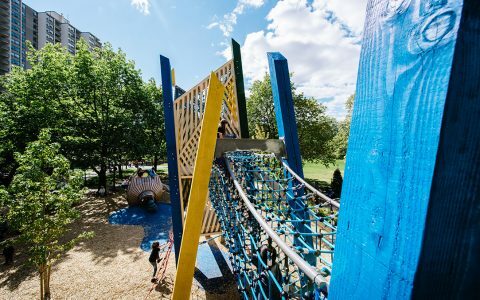 The north playground features climbing structures that represent a spilled paint can and crumpled paper. 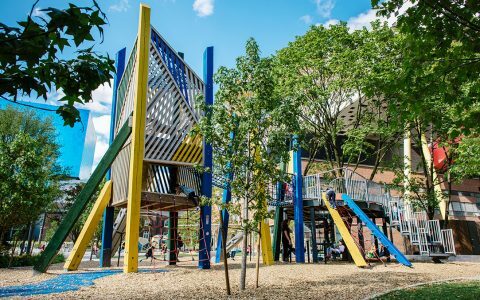 The south playground, in an equal state of disarray offers a colourful elevated artist’s pallet alongside a charcoal pencil tower and a squished paint tube climbable sculpture. 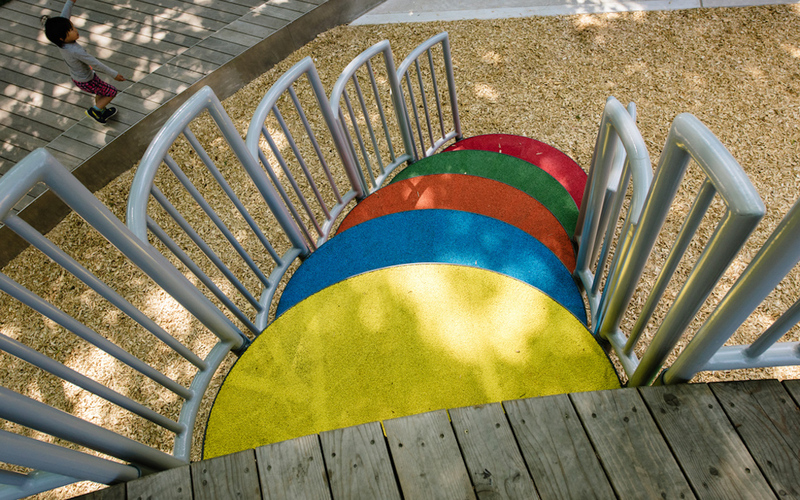 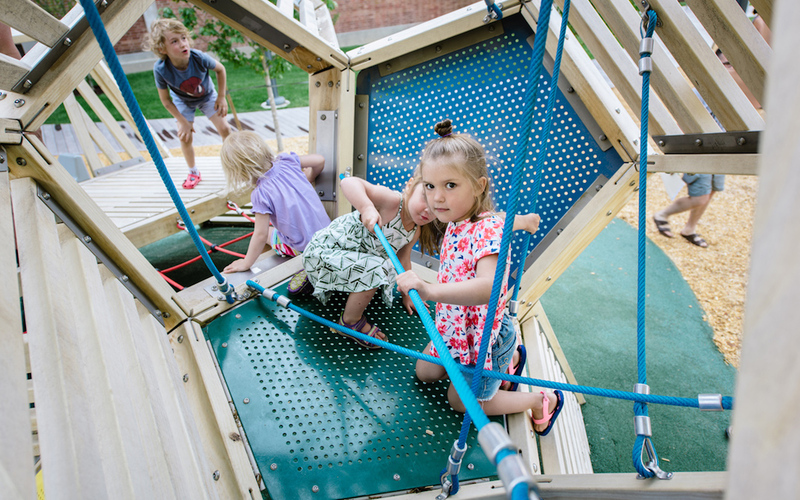 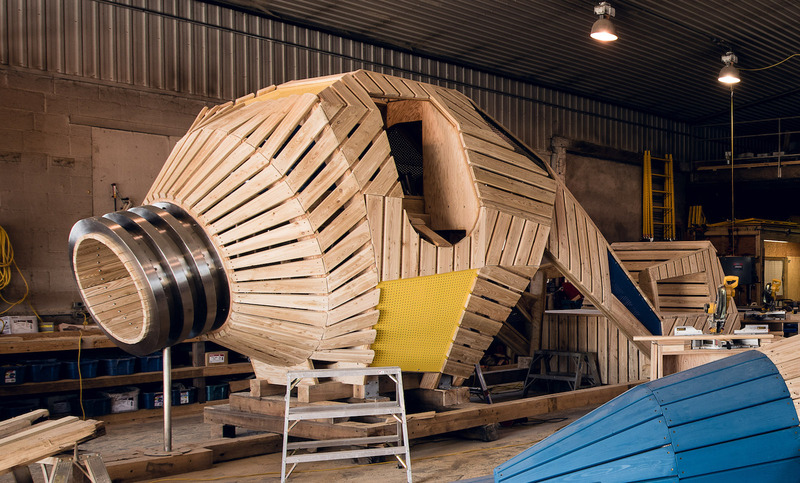 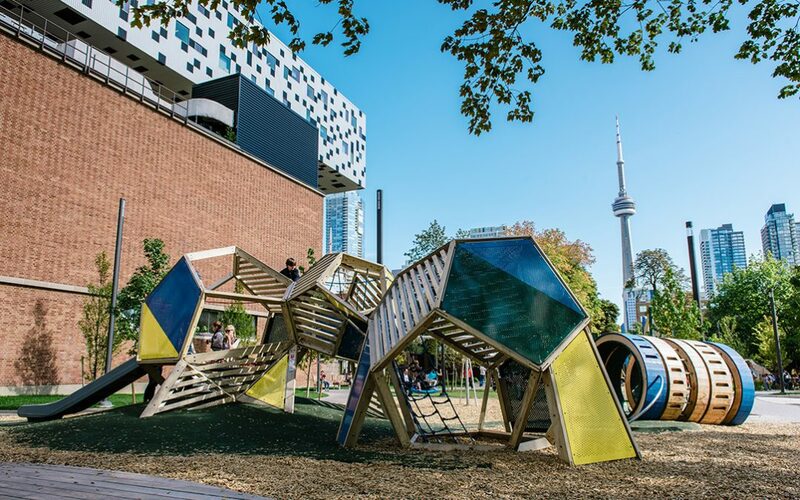 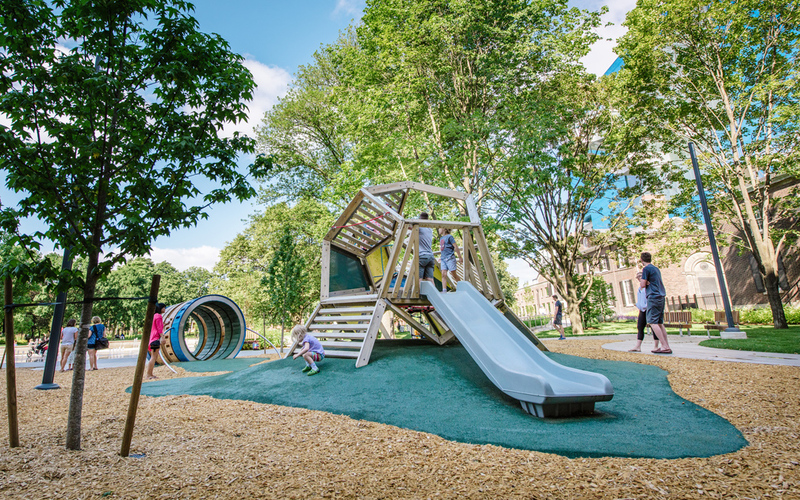 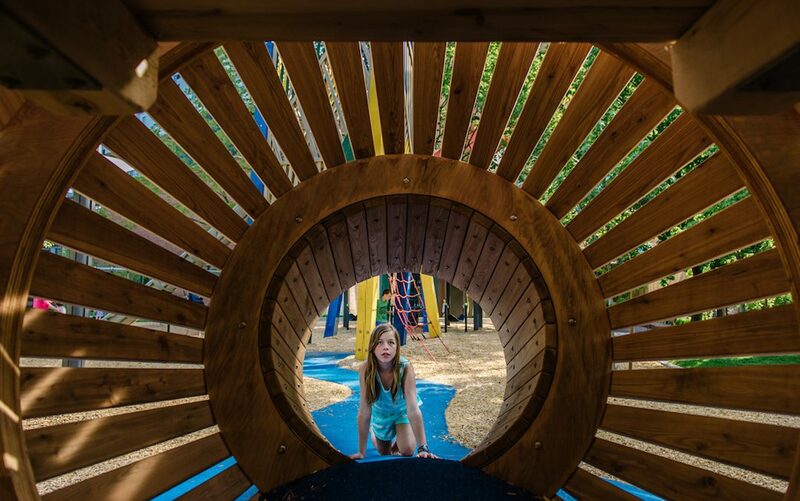 The art-themed destination playground was designed to offer the highest play value and inspire creativity. It is an urban landmark destination for Toronto families and visitors. PFS Studio received a 2019 CSLA/AAPC Award of Excellence for Grange Park.